Our Greenhouses are Full Again!! Have we got lavender for you! 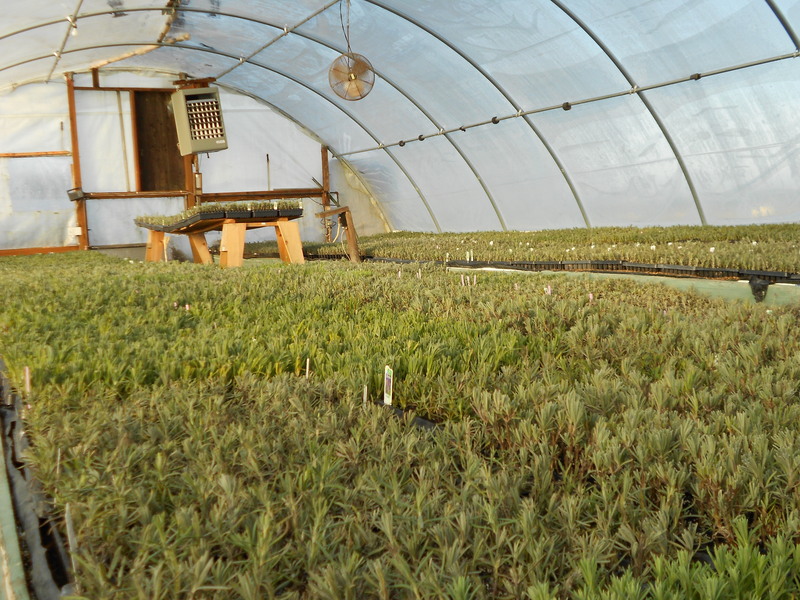 Our greenhouses are full to the brim once again with lavender plants waiting to make their home in your field or garden next spring. After our unexpected sell out last season we are really happy to see the greenhouses full again. 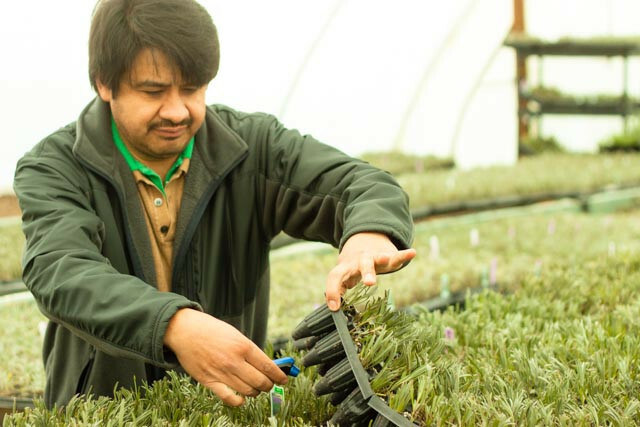 We try to increase our plant production every year to accommodate the growing popularity of lavender. Last year we maxed out our space as well as any vacant greenhouses we could find to meet the demand but it still just wasn’t quite enough. This year we are building another greenhouse here at the farm that will enable us to meet the ever increasing demand for lavender. Let’s hear it for the Lavender Industry! If you are planning on planting in the spring – don’t wait to order. Get your orders in now so we can plan our propagation needs and guarantee that you will get the varieties you want. If you are new to the business of lavender or you are thinking about starting a lavender farm now is a good time to contact us for a consultation. Learn from one of the countries top lavender experts. Victor can help you with any questions or concerns you might have. He will get you pointed in the right direction to produce your own thriving, healthy lavender plants. Here is Victor – checking the temperature of the lavender plants. 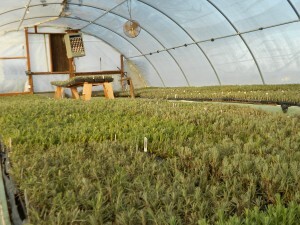 Posted in Lavender Events, Purchasing Lavender, Victor's Lavender News | Comments Off on Our Greenhouses are Full Again! !